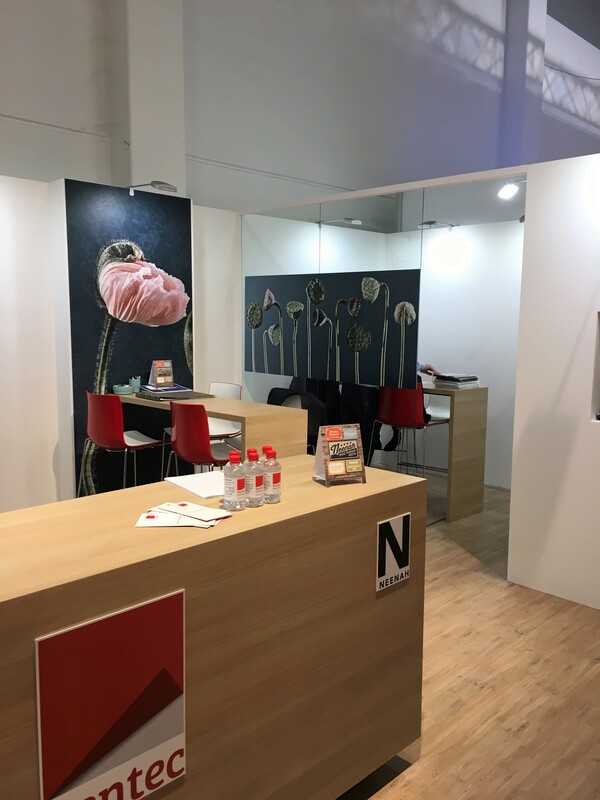 Sentec exhibited FESPA Global Print Expo 2018 in Berlin with great success! 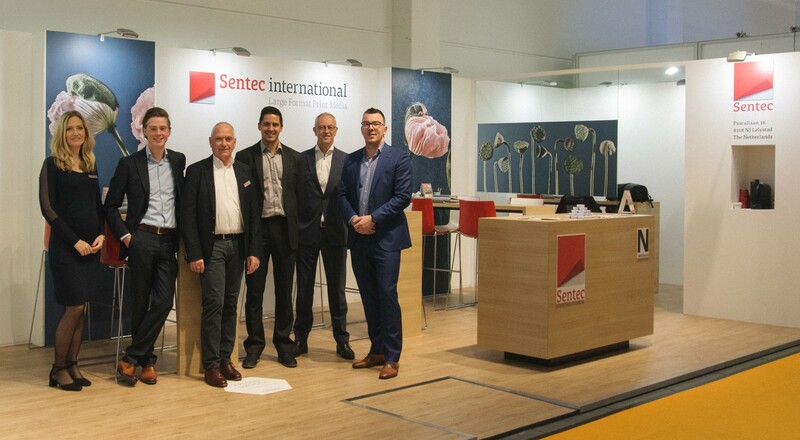 Sentec welcomed many international visitors from May 15 to May 18, 2018 at Messe Berlin. 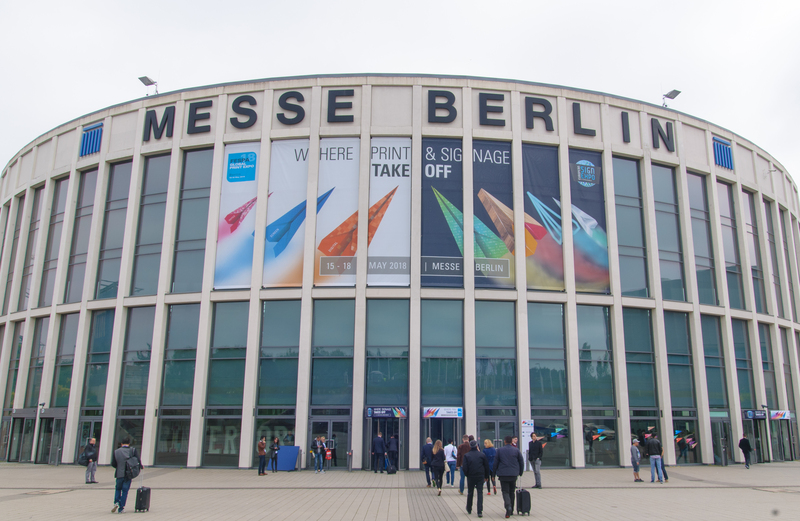 This year’s edition of FESPA was a huge success, with a lot of positivism, inspiration, feedback and new products. Many thanks to all of our customers, business partners and new contacts who came to meet us. At Europe’s largest exhibition for the wide format print industry, Sentec displayed different products at its stand. Four large standing panels with different types of Fresco printable wallcovering were the eye-catcher of the booth. Tack Mount Window graphics were applied to the glass wall. Window graphics are not only used for advertising, but can also be used in a creative, interior decoration applications as shown in Berlin. Besides the Tack Mount films that use a micro-suction technology, Sentec introduced 3 new Dot-Shaped, Bubble-free Window films that create air channels, this allows a bubble and wrinkle free installation. Available in a PVC-free Clear and White version, but also a Bubble-free White PVC film was showcased. 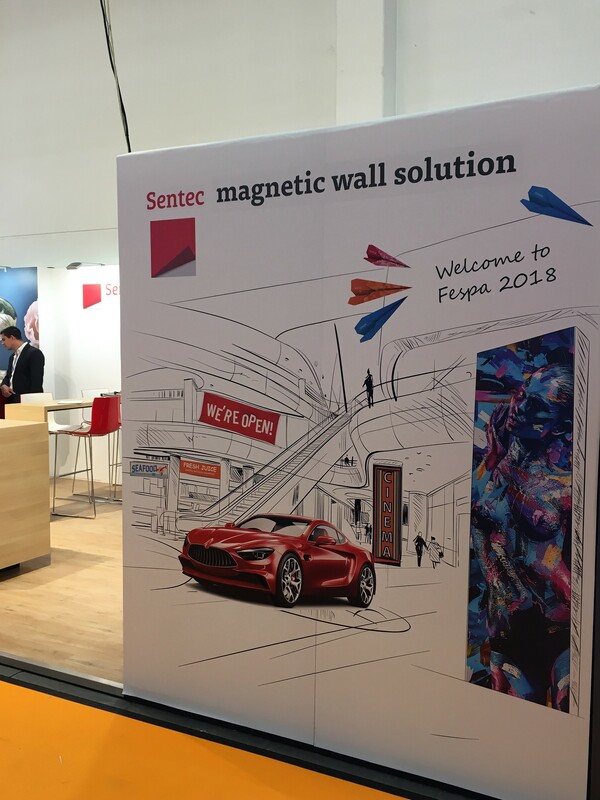 In addition, Sentec demonstrated different Magnetic and Ferro Films at its “Magnetic Wall Solution”, using Magnetic Base Film, Ferro PET Film, Ferro PP Film and Ferro Canvas. Apart from showing existing products, Sentec will add new Ferrous and Magnetic Films to its range, such as Ferro Glossy Whiteboard Film, Ferro Wallpaper, but also Ferro Base and a White Magnetic Base Film. These products were showed for the first time at FESPA. The highlight of this year’s FESPA was the newly launched Taylor FloorTex – an innovative new polyester textile floor graphic with a very strong anti-slip resistance. This product will be available very soon in both a low and high-tack version. The Fresco wallcovering range of Sentec continues to grow. With new textile wallcovering products and PVC-free non-woven wallpapers. Supported by a completely new Fresco swatch book and website with instructions and product information. Sentec will expand its cooperation with Neenah. Besides the Neenah Wide Format range, Sentec will start with the distribution of Neenah Heat Transfer papers and conVerd boards. More information on this will follow soon. Thank you again and we hope to see you next year in Munich.